A hands-on, experiential training for people who want to go beyond basic first aid skills. It includes assessment, first aid, preparation (mental, physical, and what to carry), practice scenarios, and prevention. This workshop is designed to prepare attendees for chaotic situations, such as disasters or everyday emergencies. 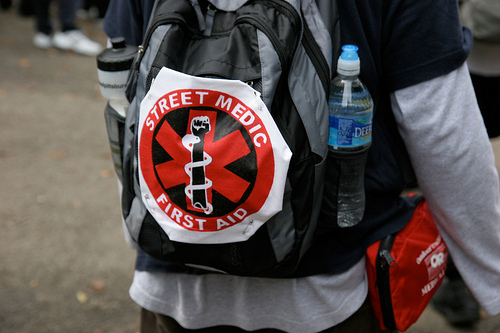 Street medics also serve as a source of health care information and resources within their communities in times of need, and so the training is open to anyone who wishes to gain greater first aid/medical knowledge to use in their lives and to share in their community. 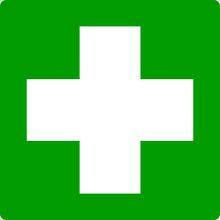 You do not need to have any previous medical or first aid training in order to attend this course. You do need to follow the usual pre-registration procedure for camp in order to participate. Register here. Our schedule follows the camp schedule but as a single, 21 hour, skill track. Participants in the medic track will need to commit to the medic track in order to complete this introductory action medical training. Commitment means attending all the medic sessions - which is all the workshop sessions in camp. 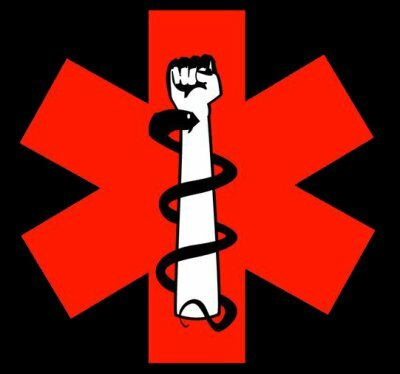 If you want to do other workshops in this camp, please don't register for the medic track so as to leave room for those wanting to complete the entire course. When you donate to the camp in your registration process please keep in mind that we have additional costs for this concentrated, medical course. All medic track participants will be asked to donate an additional $5 minimum to cover those costs. Thank you for helping out as you can.